The Achilles tendon is a very large tendon connecting the calf muscles at the back of the lower leg to the heel in the foot. It is very easily damaged and slow to heal and can become inflamed very quickly; this is known as Achilles tendonitis. Why does it Become Inflamed? Commonly seen in athletes the Achilles tendon is highly susceptible to sports injuries. Constant or overuse of the tendon, either by running, jumping or excessive stretching can all lead to damage of the tendon. High impact or sudden movements can also contribute to the likelihood of injury occurring. It is essential to build up to higher levels of fitness or increase targets gradually to allow time for the body to adjust; correct warm-up and warm-down procedures are essential to help and loosen the muscles and tendons before activities are commenced. Occasionally Achilles tendonitis may be a side effect of another medical condition such as arthritis of the heel, or as a result of a congenital (from birth) disorder of the foot such as an abnormal rotation of the foot. The most common symptom of Achilles tendonitis is pain. This can range from a short sharp period of pain, to excruciating levels of pain that can be very distressing for the sufferer. The level of pain can depend on the person’s individual pain threshold, the severity of the injury or because of a previous injury that has not healed sufficiently. Sometimes the skin covering the tendon can become swollen or red and can be very tender to the touch, even producing a ‘squeaking’ sound when pressed. Many people suffering from Achilles tendonitis report stiffness of the area in the morning, increased severity of symptoms if the injury repeatedly occurs, and even the appearance of lumps in the surrounding area caused by nodules within the tissues. The immediate treatment for this condition is to rest the affected limb and to apply ice therapy. The ice should never be applied directly to the skin in case of an ice burn occurring but an ice pack wrapped in a cloth and applied directly to the affected area will help to reduce inflammation, redness and swelling of the tissues as well as numbing some of the pain. The use of cushioning heel pads may be beneficial whilst the tendon is healing as they allow for absorption of impact and act as a supportive pillow. It is important to allow the injury to heal totally before normal activity is resumed as it can recur very easily. The blood supply to this tendon is very limited in normal anatomy so these injuries can take longer to heal than other types of muscle, ligament or tendon injuries. Pain relieving medications and anti-inflammatory tablets or sprays may be useful for the initial stages of recovery and these may be purchased from the chemist or stronger varieties available from your GP. Very severe injury may require the application of a plaster cast to allow for total immobilisation, stability and rest for the affected limb whilst the tendon heals. 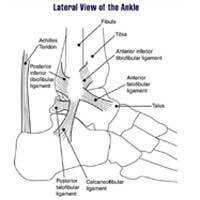 Achilles tendonitis can be a very painful condition, taking a long time to heal. Prevention is always better than cure and correct techniques and warm-up/warm-down methods are essential in preventing this type of injury from occurring in the first instance.